Designed by Tokujin Yoshioka, Japanese, born 1967. Made by Tokujin Yoshioka Design, 2000 - present. 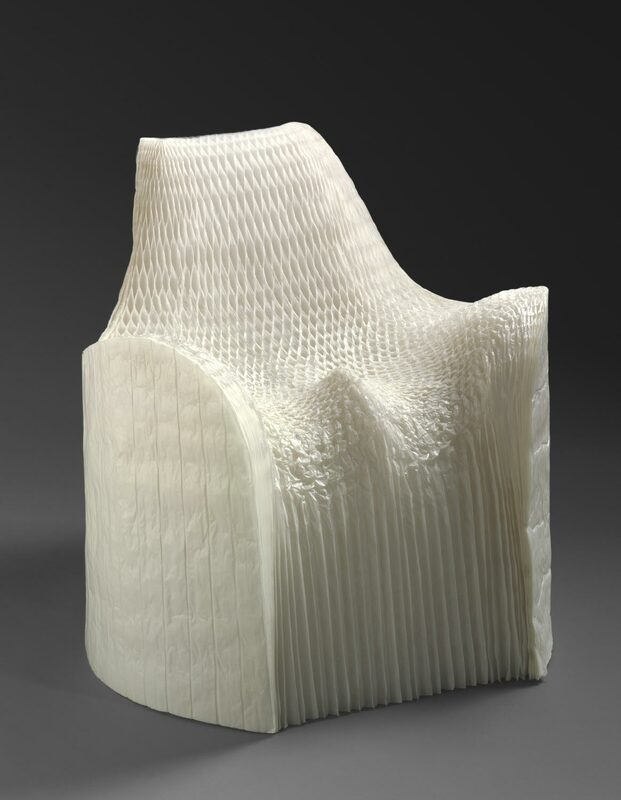 This chair embodies Yoshioka's approach to design, which he describes as "a concept often inspired simply by the desire to use new materials or processes." The chair is made of 120 sheets of paper, the same type that has been used for centuries in Asia to make lanterns. The honeycomb construction-which gives the chair its strength-is based on the designer's observation of naturally occurring honeycomb structures.